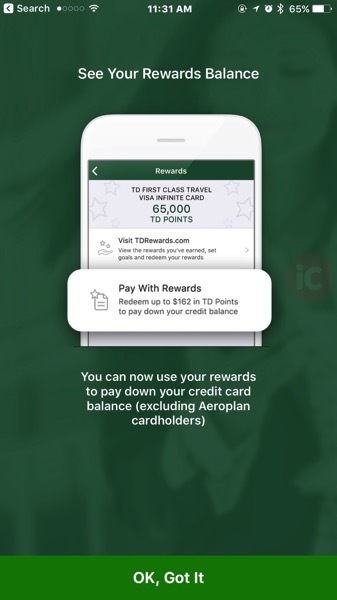 TD Canada has updated their iOS app to now shows TD Rewards balances, so customers can keep track of their points and view rewards earned. The new feature also allows users to redeem their rewards points towards paying off a credit card balance as well. Unfortunately, Aeroplan cardholders won’t be able to use this feature. TD Canada says the update also includes Simplified and Traditional Chinese support for some features. Click here to download TD Canada for iOS in the App Store.